8:00am: Upon arrival to the office, I greet our nurses and turn on my computer. I review any inbox messages in the EMR to see what needs to be addressed first and what test results are in. I look for a patient’s mammogram that was done yesterday evening, but it’s not back yet. 8:30am: I review the schedule for the day and at a glance I recognize over half of the patients by name. 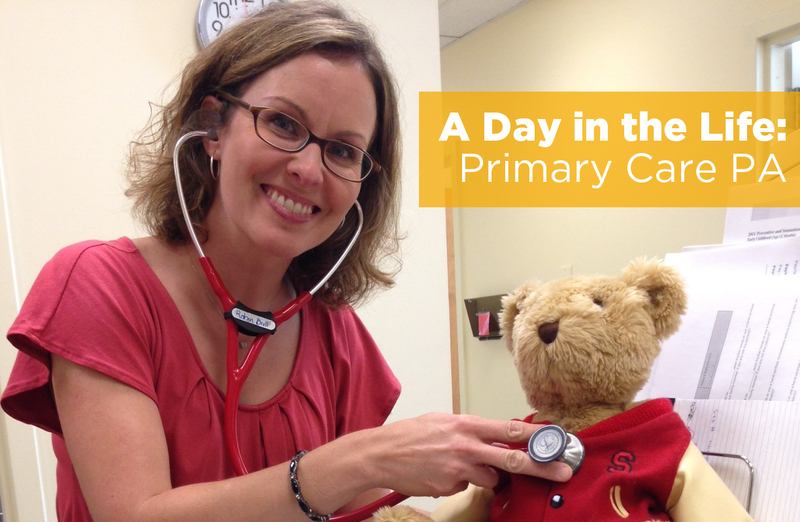 There is a colorful list of complaints: a baby with fever, an adult with ear pain, a new patient with rash, a mom of 3 with fatigue, a few routine physicals, a patient with leg swelling, and the always enigmatic “concerns.” I anticipate a busy day. 9:00am: I triage a few calls while the first patient is being put in the room. The baby with a fever just has a cold and looks well, so mom and I chat about developmental milestones, introducing solids, and how she can get her older children to help out at home. 10:00am: The 42-year old with ear pain has a bad otitis externa that he ignored for a week. After sending his medication to the pharmacy, I ask about his smoking. He doesn’t think he needs to quit. We talk about his dad, who had a heart attack. We talk about risk factors for heart disease and how to incorporate exercise into his shift work. I order cholesterol screening and plan to see him back in a week to recheck the ear. At every future visit, I’ll gently probe about smoking cessation until he’s open to consider it. If I don’t, I’m not doing my job. 11:00am: Around 11, an elderly patient I’ve come to know is seen with her son, who thinks she is not safe to be living alone any more. Her memory is not so good, and she’s struggling to manage her diabetes. He has to leave work often to go check on her. I sense her son wants to talk about nursing facilities, but doesn’t know how to bring it up to his mom. We have that hard discussion and they both express their fears and hopes. I order some tests and arrange for a home nurse to do an assessment. I ask our Practice Based Care Manager to give them contact information for Assisted Living. We plan to talk more by phone next week when the test results are in. Her son’s gratitude is visible. 12:00pm: I take a few quick minutes to address messages and results in my in-box. With our EMR, patients can send and receive secure emails online, making it easy to communicate without playing phone tag. I call one patient about his Ultrasound instead of sending an email, because I know he will have questions and I want to get a progress update on his bowel problems. My patient’s mammogram results are not in. 12:30pm: During lunch, I make a quick phone call to check in with a patient I saw 2 weeks ago who was struggling with work stress, marital problems, and severe depression. He thinks his medication is helping and he’s taking some positive steps to mend things with his wife. He then mentions he scraped his arm with a piece of metal in the garage the other day. I see his tetanus booster is up to date, so I advise him on wound care and ask him to come in if there are signs of infection. 2:00pm: The gentleman with “concerns” comes in around 2pm. He is worried about STDs, so we order some tests and talk about contraception. 2:30pm: My new patient with a rash has what looks like hot tub folliculitis, but the extent of it on her skin is unusual and her history makes this a remote chance at best. I consult a Dermatology reference. I ask my supervising MD to pop in and take a look, and he brings the medical student along. We make a treatment plan. The patient is overdue for a pap smear as well as a physical, so I ask her to return in a week to focus on health maintenance and recheck the rash. 3:30pm: I get back to my desk and my patient’s mammogram and breast ultrasound are back. The radiologist found a suspicious mass and lymph nodes in the area I felt on her exam last week. I call her at home. She is around my age and I hear her kids in the background. She cries. I listen. I tell her I will arrange for biopsy and surgical consult right away and she thanks me for the call. I hurry and see my last few patients and finish charting, but her case is still on my mind. She might be back for a pre-op physical at some point, but I make a note to have the nurse check in on her in a few weeks. 4:30pm: At the end of the day, I ask our medical student about any interesting cases she has seen. The doctors in our office have let her do a few procedures like mole removal and pap smears. She tells me that she loves everything she’s done so far in her rotation, and I smile. Welcome to our world of Family Medicine.